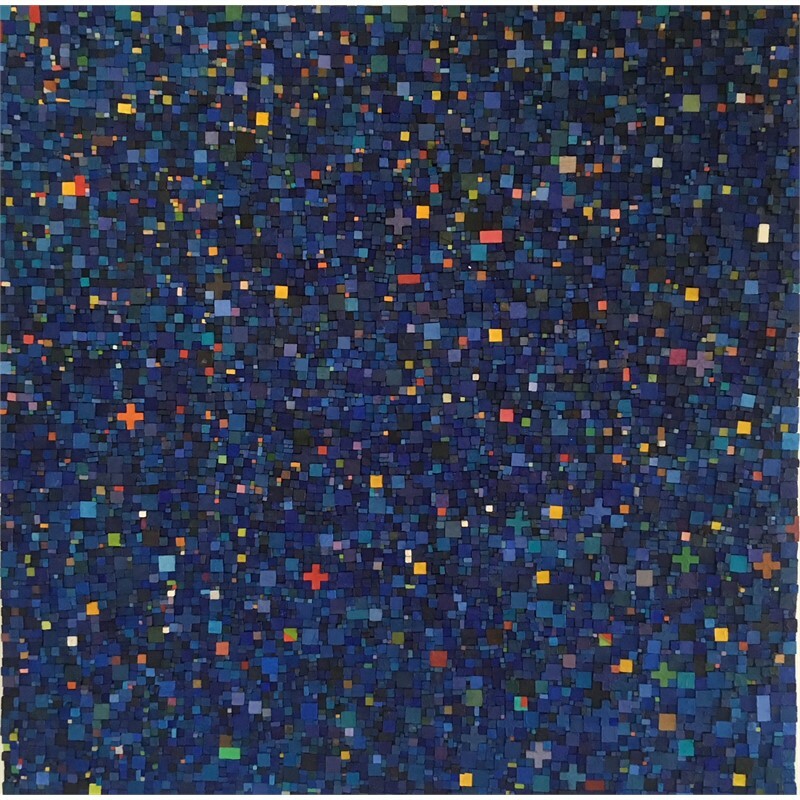 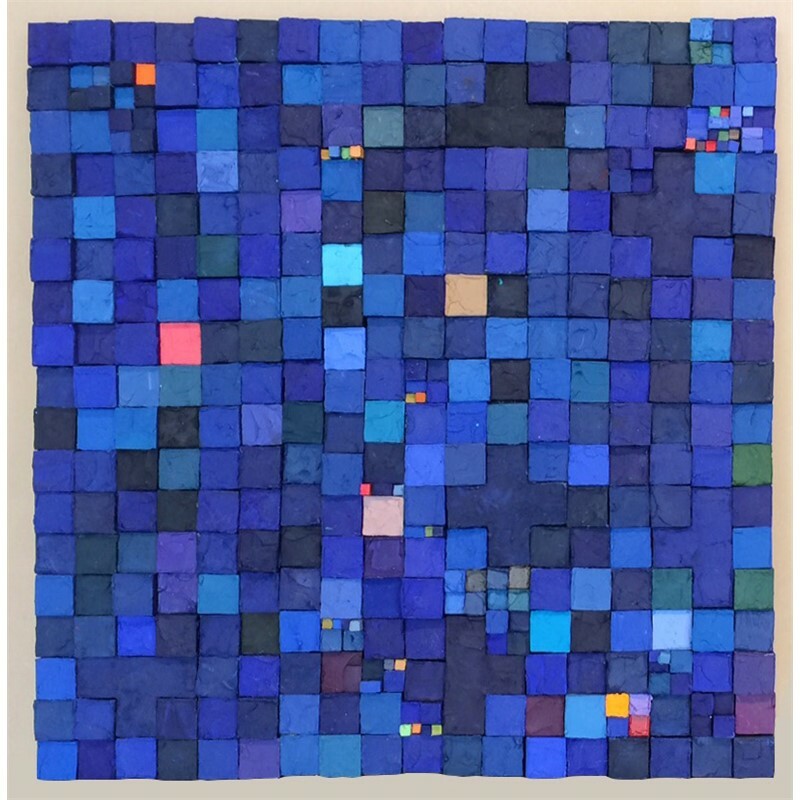 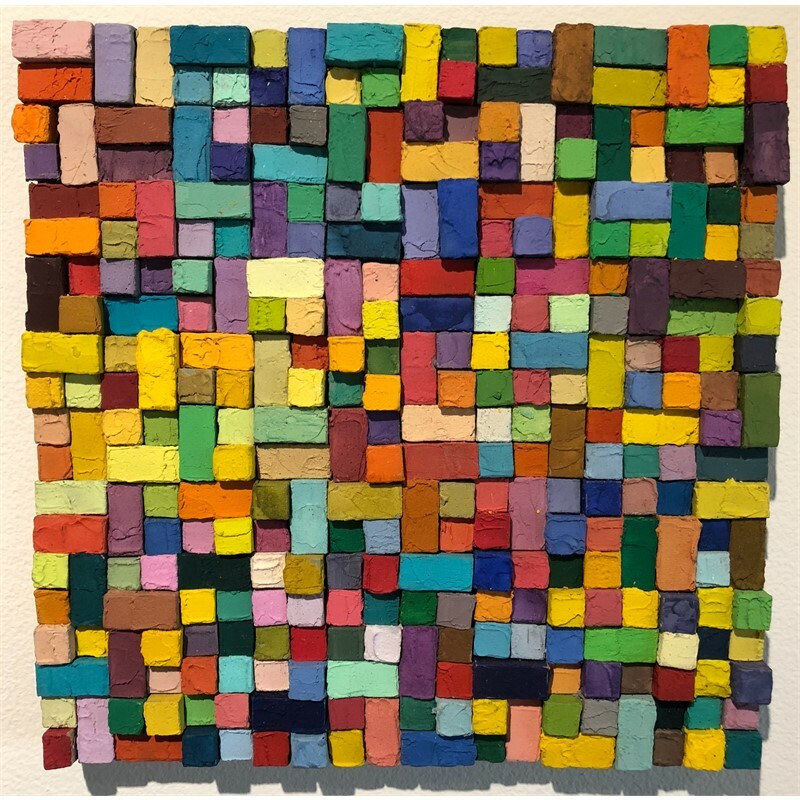 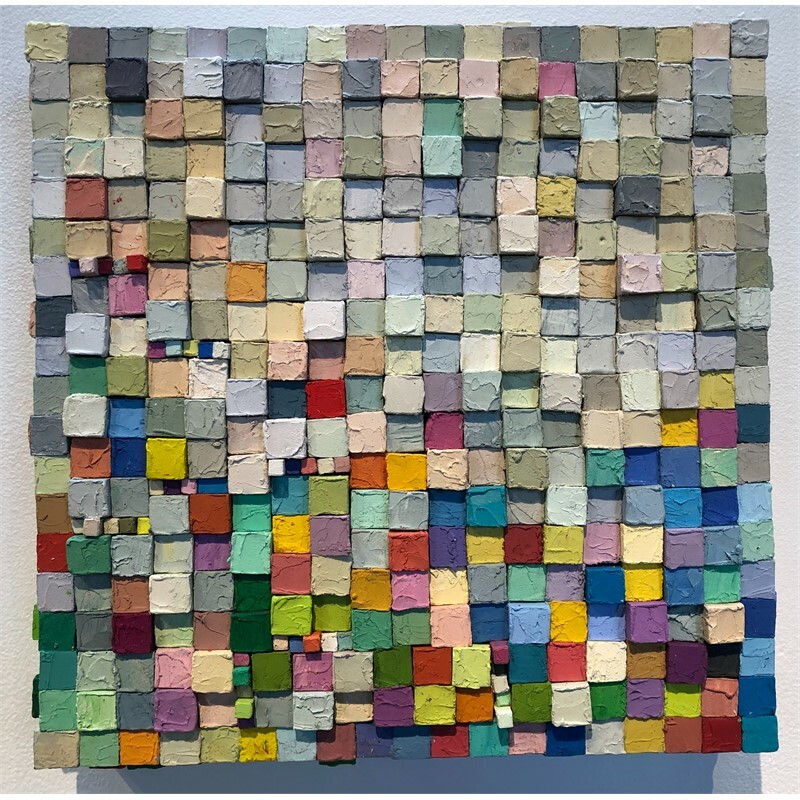 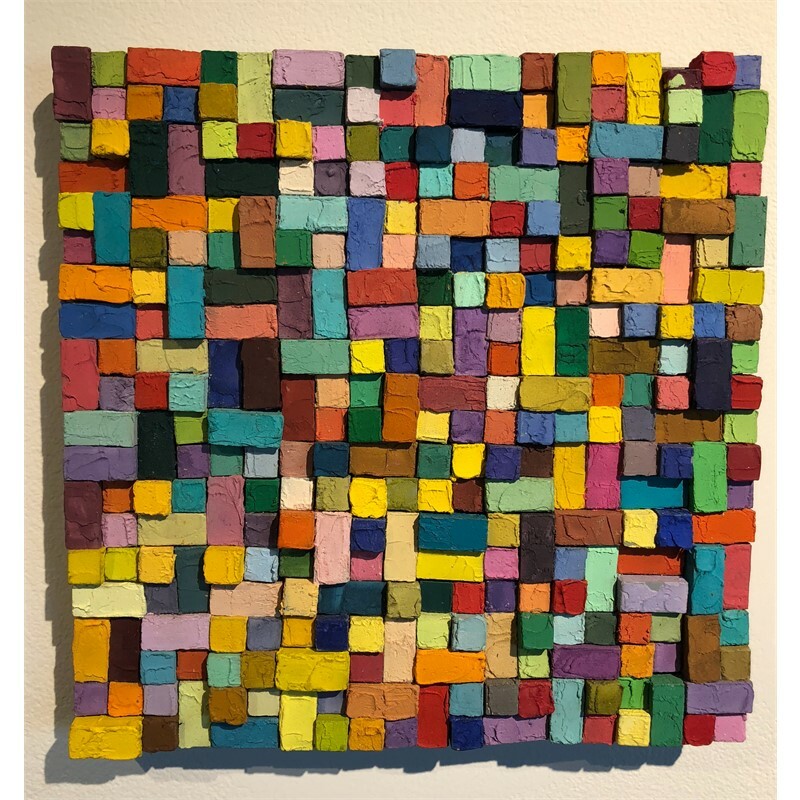 Originally from Mexico and currently living in New Mexico, Carlos Estrada-Vega continues to explore the relationships between color and the geometric shapes. 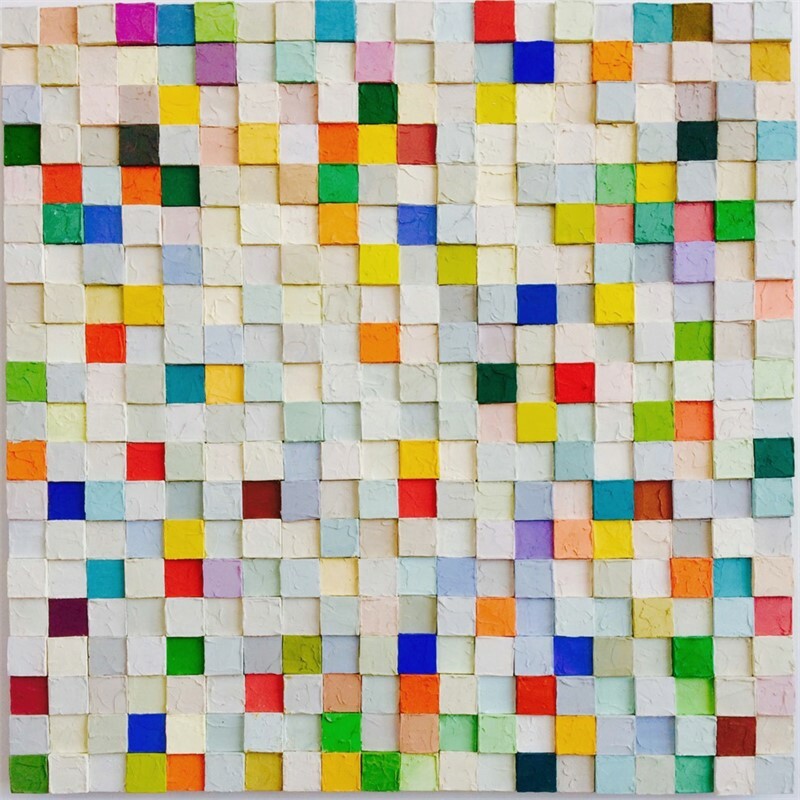 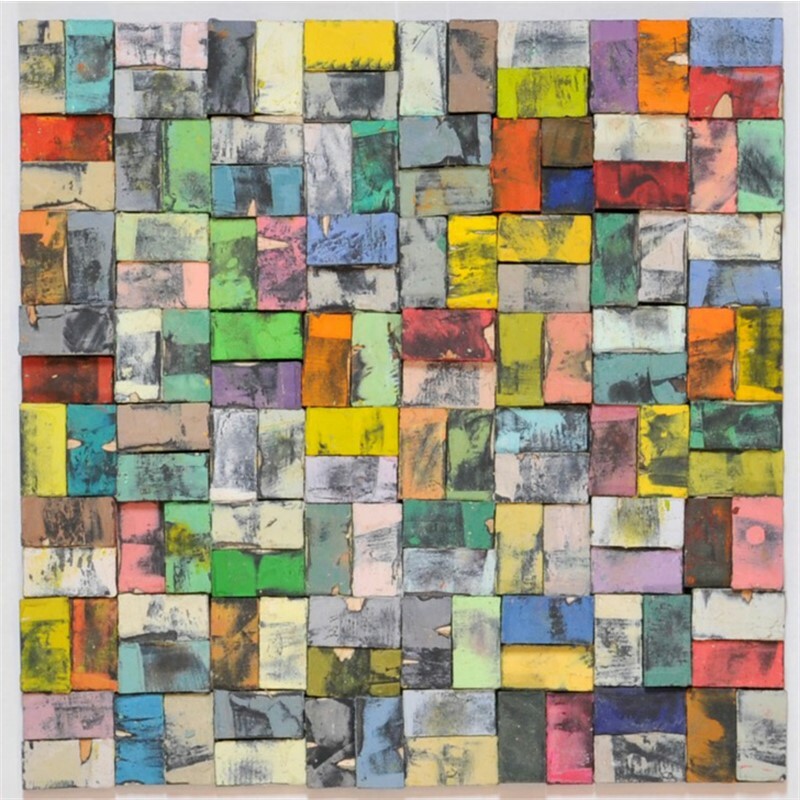 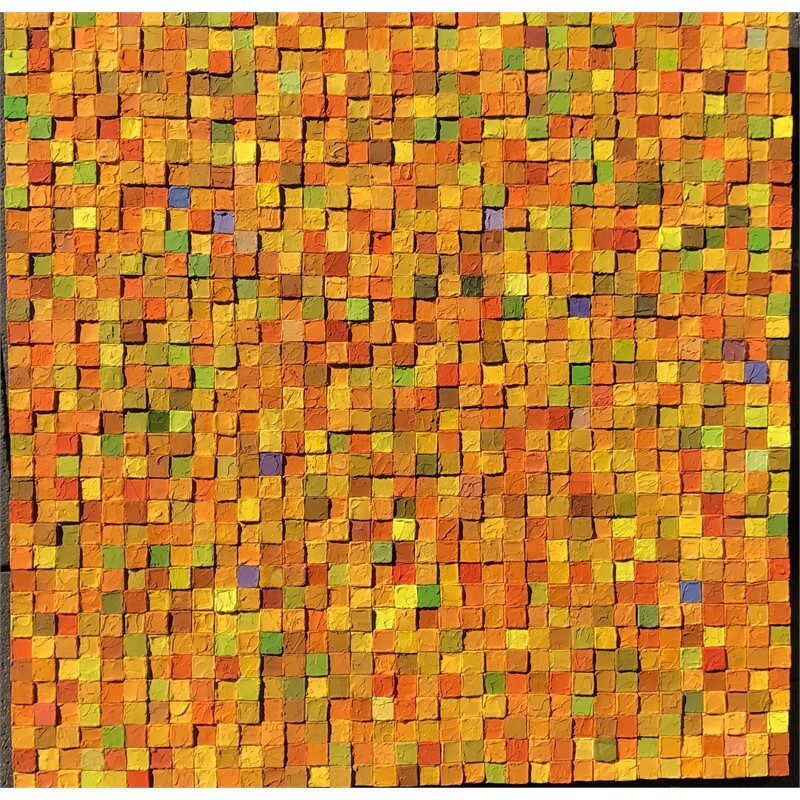 His paintings consist of small wooden shapes typically no larger than one to three inches. 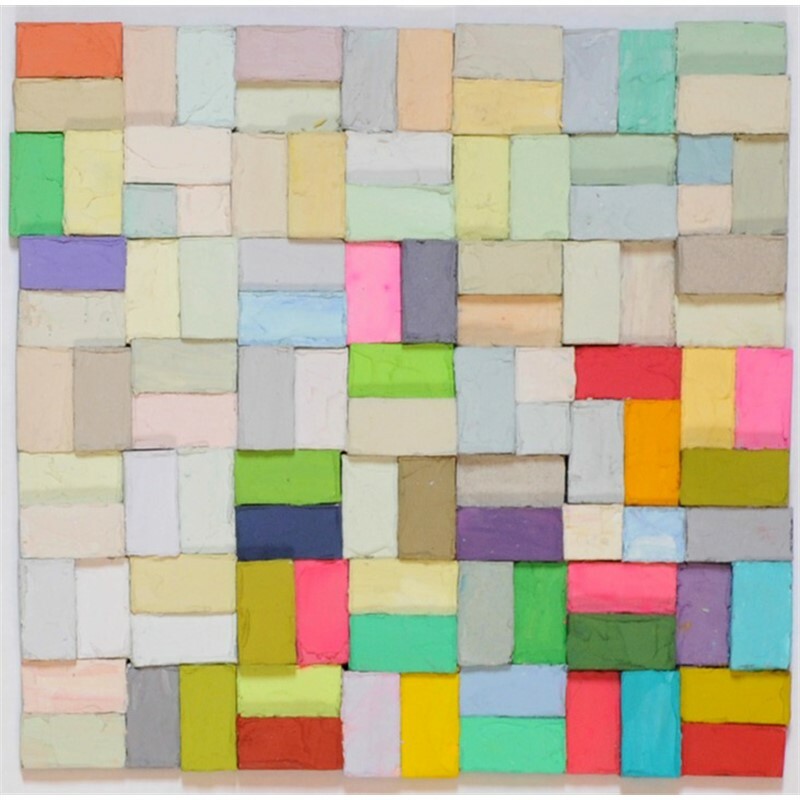 These units are then individually painted with the artist’s proprietary mixture of oil, limestone dust, and pigment. 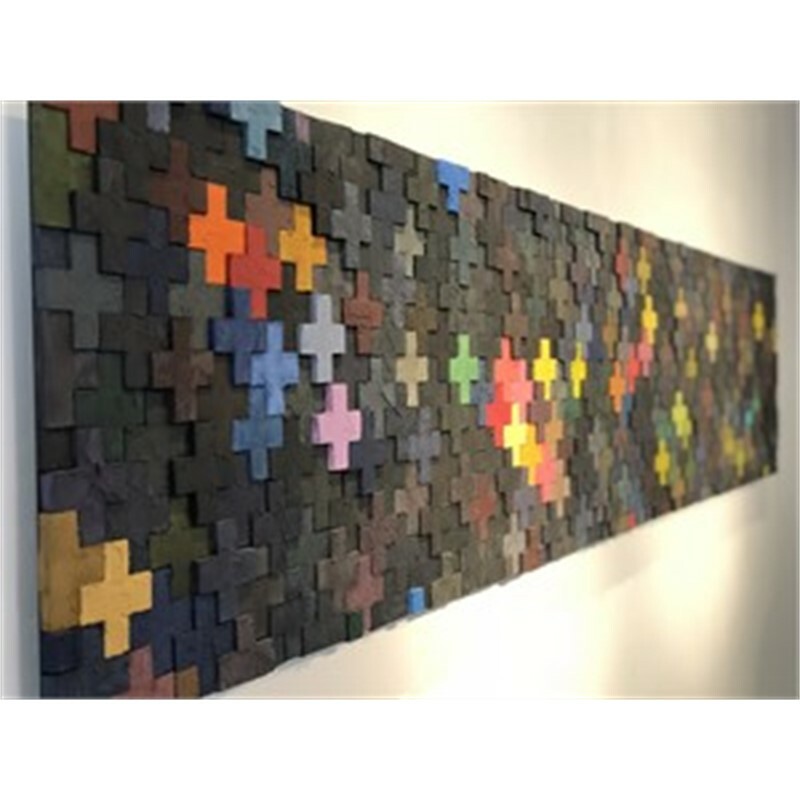 Magnets are inserted into the backs of each of these “mini-paintings,” which allows them to be attached to a large, unifying steel plate. 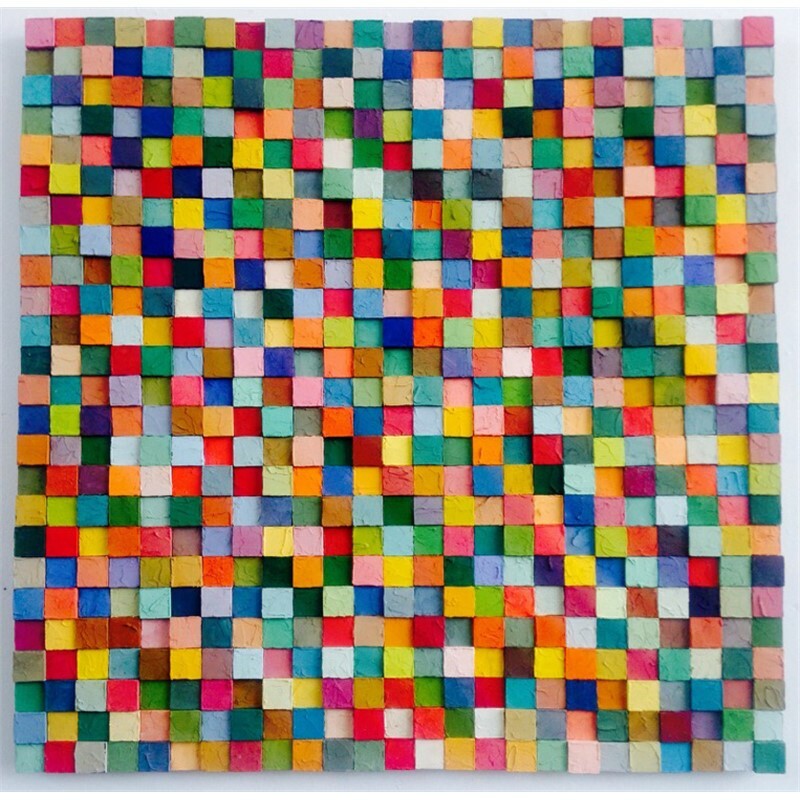 Once assembled, these orchestrations of color - in some cases incorporating thousands of tiny shapes - become “organic” cohesive grids, playfully inducing sensory overload, satiating you with the pure joy of truly experiencing color.